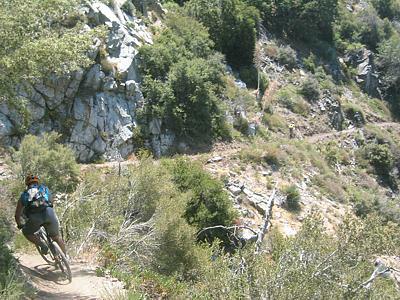 Work will continue on the Burton Trail in the Angeles National Forest near Brown Mountain. Last September we cleared the top 1.25 miles of trail. We have one mile to go and hope to finish it in one day. We will carpool up Brown Mountain Road to the trailhead. Another option is to ride your bike and meet us there. Meet at 7:45 AM at the Millard Canyon Campground parking lot. Or if you want to ride your bike, meet at the top at 8:30 AM.